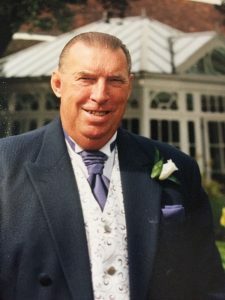 Vic Harvey, who died on the 13 July aged 83, was a dedicated servant of the School over many years. No-one was more loyal. His period of service lasted from 1983 until his retirement in 2002. Vic performed a whole range of duties in the relation to the Director, Secretary and other leading members of LSE over that period, and was utterly dedicated to the institution. He worked with three Directors in total over the course of their tenures – IG Patel, John Ashworth and Anthony Giddens. Among his other tasks, he was the driver of the School car and frequently met and picked up distinguished visitors from airports and railway stations. Those he ferried to and forth included Desmond Tutu, George Soros and Henry Kissinger, among many other world figures. His calm presence was extremely soothing when the passenger was fretting about his or her speech, or frazzled by travelling. Vic frequently had to stay up well into the early hours of the morning to ferry people from School events, but did so with great willingness and calm. He was normally back on duty early the next day too. He always had the loyal support of his wife, Jackie, who would be there to greet him no matter what unearthly time of night, or even early morning, he might return from some School job or other. He carried out a range of other tasks around the School to help out the porters and other staff. He could turn his hand to almost anything – something unsurprising given the range of his earlier career. He had a diverse life indeed prior to joining LSE. Among other roles he was a paratrooper in Cyprus, during the period of conflict there involving British troops, and worked as an operator on large cranes. He was a commanding figure physically – tall, well-built and also very fit, at least until illness overtook him in his later years. He would often step in when a lesser mortal was struggling with a particular task that involved heavy lifting. He occasionally would be called upon to intervene if an unwanted or unwelcome intruder had got into the School, such as on occasions when there were break-ins to the offices. Vic was totally trustworthy and reliable and always there when needed. He was a ‘presence’ around the School – known to very many people on the campus because of his visibility in the various roles he carried out. He had a quietly devilish sense of humour, ranging from gentle irony to whimsy. Never one to push himself forward, but always available when needed, Vic was an engaging, friendly and easy-to-approach individual, with absolutely no edge or attitude. He was a marvelous and dedicated servant of LSE and will be long remembered by everyone who knew him at the School. Great piece about a clearly great man. Vic was a fine LSE man. I recall him ferrying colleagues and me on occasion when the Research Division exhibited at party conferences- for reasons unfathomable to me, he particularly loved Blackpool (apologies to any who hail from that town). I, and others I know from those days, will be a little less light in spirit at this news.. Sad to hear the news – I had the privelege of being with Vic on a few occasions in formative years at LSE and knew how much he meant to everyone. Always a generous smile to me around campus and a reassuring presence to so many senior LSE people and visitors.